Android is built on top of Linux kernel which has something called as superuser privileges. Android ROOTING is nothing but getting the Superuser privilege. With the ROOTING privilege there is some Advantage and disadvantage associated. 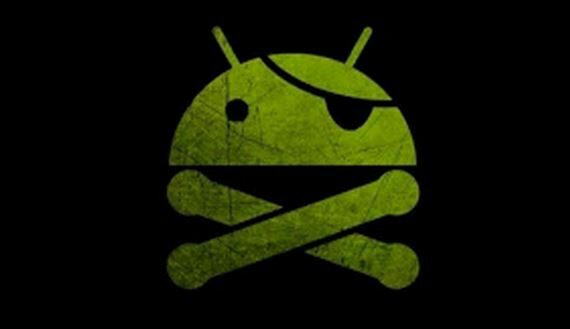 With this post I bring you some of the advantage and disadvantage of Android ROOTING. Why do you want to ROOT your Android phone? What is the benefit of Rooting Android? Many Android users don’t even know what is rooting, forget about how to ROOT. Rooting gives your Android phone, super power and wings to fly. There are many endless possibilities are opened when you ROOT your Android phone, in this case when you ROOT Android. – Most of the Android phones come with pre-installed applications by manufacturers such as: Samsung Apps on Samsung phones, Honor Apps on Huawei Honor phones etc. – No need to wait for OTAs to be pushed by your OEM. After rooting the phone, there is a possibility that you can install incompatible apps which are only available for specific devices. – One such example is Google Camera or Xposed modules etc. – OEM updates for latest Android releases are pretty much slower as compared to the custom ROMs. Rooting helps you taste the latest Oreo almost as soon as it is released, provided it should be built for the phone by one of the developers. – Initially when OnePlus 3 was released it was restricted to use the full potential of RAM by using only almost half of the RAM. – Unlocking that potential was only possible after rooting the phone and then modifying the system file. Rooting the Android Phone allows to install more themes, and customization. Why you should NOT ROOT your Android phone? What is the disadvantage of Rooting your Android? Rooting is more attractive for above said reasons but there are a handful disadvantages of rooting an Android phone too which you should consider before you root the Android phone. – Many of the manufacturers now a days supporting software customization on Android phones but on the other hand many OEMs discourage the use of altering software on the phone. – Although this can completely reverted back to original state, but still OEMs like Samsung user binary or hardware counters that tells how many times the software has been changed on an Android phone. – Rooting a device involves unlocking the phone’s bootloader and installing a custom recovery. – This process may erase all the data of your phone. – Android has a security mechanism to know if a device is tempered or can be still reliable for security. – Most of the banking apps use SafetyNet as a security measure, which will be broken after rooting the Android phone. – you have to manually install OTA updates. – This is an advantage if you know where to download and how to install stock firmware updates otherwise it is the other way round. Rooting gives system file access, which is very dangerous. – If any of the core system file is missing, the whole Android system is gone, and the Android phone could be bricked.